Bridget has been running Classy K9 Clippings out of Westlock Veterinary Center since February 2003. 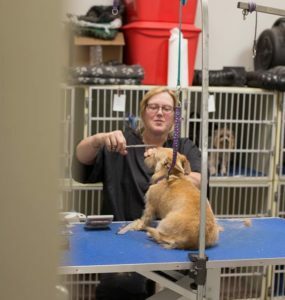 She has 24 years of experience grooming all breeds. Bridget will do some show cuts and will take on all sizes of dogs. Bridget also breeds and shows her own Shi-Tzus.